In the early 1960’s the Muhlenberg Industrial Park was developed and is a subdivision to the City of Greenville containing 90 acres of zoned land for the purpose of industrial development. Within the park resides Plastic Products, Atmos Energy, Pogue Electric and an available spec building that was a former garment manufacturing operation. The land is flat and all infrastructure is in place for your business. 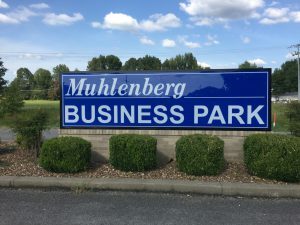 If you are a small manufacturing operation the Muhlenberg Industrial Park is the ideal location for you! The Muhlenberg Industrial Park is located in a convenient location to the city of Greenville and within 2 miles of the Western Kentucky Parkway which has connections to I-64, I-65, I-69, and I-24. Paradise – A Heavenly Solution for Your Clients! Your job is to help find the perfection location and “fit” for your clients’ greatest success. Our job is to show you why it is Muhlenberg County, Kentucky. Let’s Talk! Our central location, favorable tax climate, low operating costs, work ready labor force and custom incentive packages reflect directly, and positively on your client’s bottom line. Adjacent to Western KY Parkway (exit 48), with quick access to I-69, the Natcher Parkway, I-24, and I-65. Located in Muhlenberg County, Kentucky within a half-day drive of major markets including Nashville, Memphis, Louisville, St. Louis, Cincinnati, Indianapolis and Birmingham. 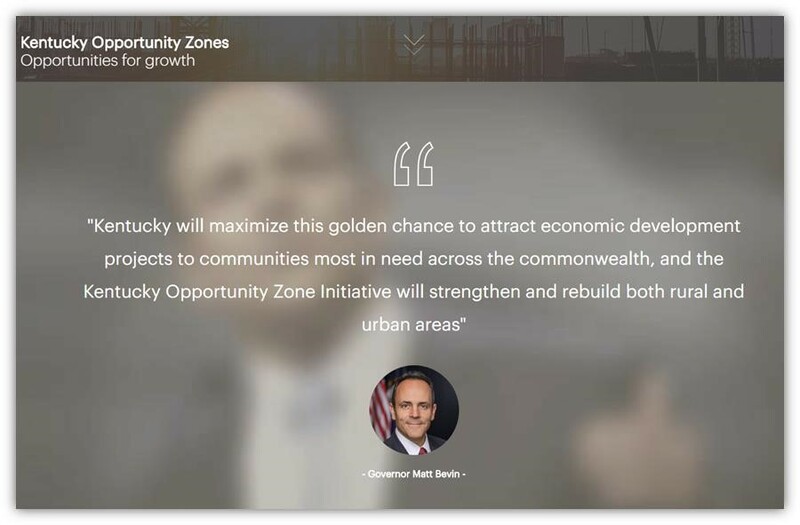 Designated Kentucky Work Ready Community – In Progress providing access to a growing labor market of 236,000 in 12 counties. Progressive business and family friendly community with a “Can Do” attitude and approach to life. 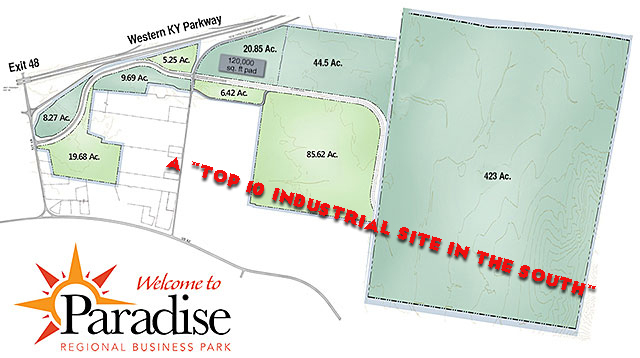 Paradise Regional Business Park is designated as a Kentucky Opportunity Zone.